If you have been to the dental care aisle, you know that the wall of choices can be difficult to sift through. With all of the options available, it can be hard to figure out which toothpaste is right for you. Every toothpaste claims to deliver the whitest, brightest smile that no other toothpaste can compare to. That said, is there really much difference between all the options? Let’s explore some different types of toothpaste to help you figure out which one may be best for you. 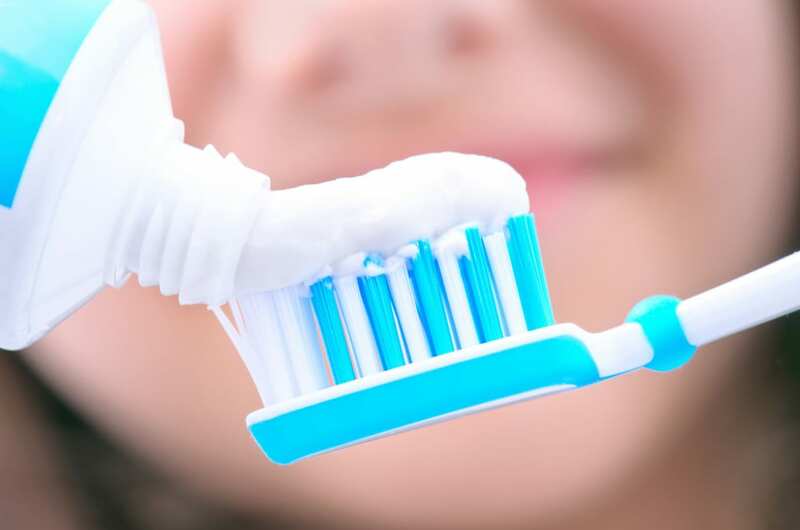 Fluoride is one of the most important factors when choosing a toothpaste. To receive the American Dental Association (ADA) Seal of Acceptance, a toothpaste must contain fluoride. Over time your enamel is weakened by acid-producing bacteria on your teeth. Fluoride helps to strengthen your enamel and is an important tool to protect against tooth decay. It is highly recommended for patients to choose a toothpaste that contains fluoride and has the ADA Seal of Acceptance. Some patients may have a hard time with plaque building up on their teeth. Over time this plaque can harden and turn into tartar which is one of the major contributors to gum disease. Toothpaste that is specially designed to control plaque build-up contains abrasive agents that helps remove tartar. That being said, this toothpaste is not a replacement for regular biannual cleanings from Dr. Lopez. Professional cleanings remove plaque that you may not be able to reach with regular brushing and flossing. Teeth whitening toothpaste is popular for patients that want to lighten their teeth by multiple shades. These kinds of toothpaste are not designed to bleach your teeth. Instead, they are formulated to remove surface stains. Therefore, it can take weeks to start seeing any significant results. If teeth whitening is your goal, we recommend trying a professional teeth whitening service. Ask about our whitening treatments during your next visit. Sensitive teeth can make it difficult to eat cold or hot food. For these patients desensitizing toothpaste is a great option. It’s important to remember that it can take several applications before sensitivity is reduced. If desensitizing toothpaste is not enough, contact our office and we can help you find a treatment plan that will relieve your sensitive teeth. Sometimes patients just want to find a way to make brushing fun again. For these patients, a toothpaste that has a unique flavor might be a perfect choice. From standard choices like mint to more exotic options like bacon or chocolate, if you’re looking for a unique way to spice up your oral care regimen, a uniquely flavored toothpaste may be just the thing for you. Ultimately the best toothpaste is the one that helps you stay consistent with daily brushing. While there are many great options, your ideal toothpaste is the one that gets you to brush for two minutes twice every day. Dr. Lopez is delighted to answer any of your questions and can help you find the toothpaste that meets your needs. Our mission is to help patients achieve healthy smiles that they can show off with confidence. Dr. Lopez and his dedicated team at Summit Dentistry have the knowledge and experience to make your dream smile a reality. 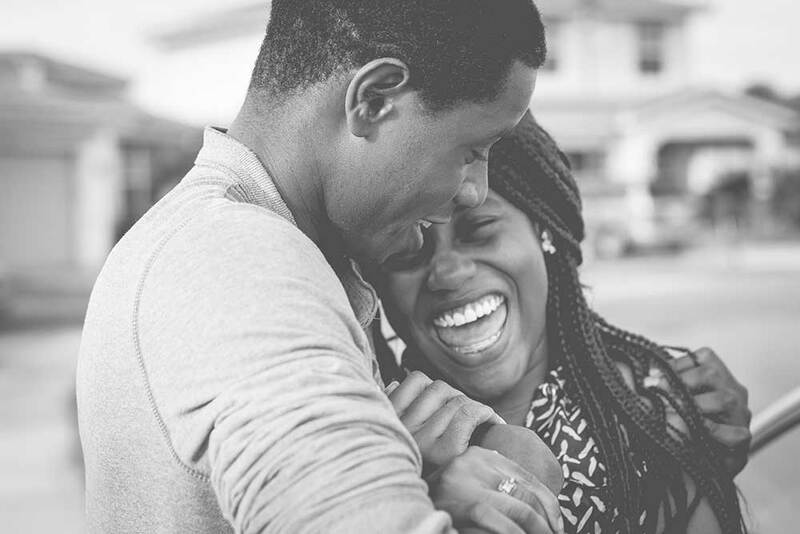 From teeth cleaning and whitening treatments to veneers and dental implants, we have the treatment options to help you achieve your ideal smile. Schedule your next appointment with Dr. Lopez today. If you want a happy, healthy smile that you’ll be proud to show off, then you’re not alone. Dr. Lopez and his team are delighted to help you achieve the smile of your dreams. Here are the top 5 keys to a smile you’ll be proud of for years to come. Brushing twice daily for at least two minutes is the first key to good oral health. That said, if you aren’t brushing properly, then there’s still room for improvement. It’s important to not only brush the outside surface of your teeth but the inside and chewing surfaces as well. It’s also important to brush along the gumline to remove the plaque that causes gum disease and tooth decay. To avoid using a toothbrush that’s worn out and ineffective, replace it every 3-4 months. A great way to remember this is to swap out your toothbrush whenever the season changes so that you are changing brushes four times a year. Flossing is the next key to an outstanding smile. You only need to floss once daily to reach the areas that a toothbrush misses. If traditional flossing doesn’t meet your needs or is too difficult, then there are many alternatives. Oral irrigators use a jet of water that gently removes debris from in-between teeth. If sticking something between your teeth doesn’t appeal to you, then an oral irrigator is a great choice. Floss picks are small plastic disposable flossing devices that come with a pre-threaded piece of floss attached to a handle. They’re easy to maneuver and extremely convenient. Interdental brushes are specially designed with thin bristles that glide between teeth. You don’t have to throw them away after a single use and can be used for up to a week. Using mouthwash is another fantastic tool patients should use to maintain good oral health and improve their smile. Not only does it help clean areas that brushing may miss, it also strengthens teeth so they are more resistant to decay. Additionally, it helps to freshen breath and kill cavity-causing bacteria. What you eat is a key indicator of how your smile will develop. With good eating habits, you can strengthen your smile and prevent a lot of staining you would otherwise experience. Too much sugar in your diet is bad for your teeth and the rest of your body. You might think it won’t affect your smile, but sugar can have devastating effects. The sugar itself doesn’t harm teeth–It’s the acid-producing bacteria that feed on the sugar causing the damage. Cutting back on sugary beverages and drinking lots of water will help to reduce the sugar in your diet and it will have a significant impact on the health of your teeth. Second only to water, milk is the best thing you can drink to protect your teeth. It not only contains the calcium your teeth need to stay strong, it also coats your teeth reducing the effects acidic foods have on your smile. Many of our patients’ favorite beverages are highly acidic. These drink such as soda, coffee, juice, and wine are major contributors to teeth staining. Limiting consumption of these beverages will help to keep your teeth clean and bright. If you need help removing stains or you want to lighten your smile, Dr. Lopez provides professional teeth whitening services. Even if you have a stellar dental regimen and a diet that’s smile friendly, visits to the dentist shouldn’t be avoided. Dr. Lopez can find oral problems you may not be aware of and he can prevent dental complications from becoming more severe. Additionally, our deep cleanings will remove plaque that has built up under the gumline in places you can’t reach with self-dental care. If you do have any roadblocks to your ideal smile, Dr. Lopez will work with you to solve them. Whether you need a teeth cleaning or root canal, or if you need a more in-depth procedure such as dental implants, our team at Summit Dentistry is here to clear the path to your dream smile. Using these five steps, we’re confident our Spokane patients will achieve their ideal smiles. Dr. Lopez and our staff are here to ensure any dental problems are solved in an easy and stress-free environment. If you have any questions, don’t hesitate to call us. Schedule your next visit to Summit Dentistry today. What’s all the Fuss about Flossing? At Summit Dentistry in Spokane, we believe that flossing is vital for proper oral care. While brushing twice daily is essential, it won’t reach all the areas that need cleaning. Preventing oral complications before they arise is the best way to avoid costly oral procedures down the road. While it is not the only step necessary for proper oral care, flossing is necessary for a healthy smile. Flossing helps remove the debris that your toothbrush can’t reach. If you don’t floss, plaque can build up between your teeth and below the gumline. This plaque buildup leads to tooth decay and gum disease. Gum disease is a serious infection that threatens the health of your smile. Over time, gum disease will lead to difficulty in chewing, bleeding gums, and loose teeth. If left untreated, it can eventually cause you to lose your teeth. Research links gum disease to heart disease, stroke, respiratory disease, and premature births. Flossing is an easy way to prevent so many complications, but it’s surprising to discover how few people actually do it on a daily basis. The American Dental Association found that only 40% of Americans floss at least once a day and 20% don’t floss at all. If you’re ready to start flossing regularly, here are some important tips for choosing and using the floss that best meets your needs. There are two main types of floss, nylon floss, and PTFE floss. Although both are great choices for keeping your smile healthy, there are some key features that distinguish the two. If you would like to learn more about good oral care or would like to schedule your next cleaning, call Summit Dentistry today. Nylon (multifilament) floss is made up of many nylon strands and is available in both the waxed and unwaxed variety. Waxed floss glides between the teeth and is less prone to snapping than unwaxed floss. It’s also softer on the gums. Although unwaxed floss is more likely to snap, it can be better at getting in between teeth that are crowded. Also known as dental tape, PTFE floss is made from Polytetrafluoroethylene. Patients with wide enough gaps between their teeth may find this floss to be ideal. Although it can be more expensive than nylon floss, it is much less likely to snap and tear when you’re flossing. Many patients who choose PTFE floss say it feels more comfortable than nylon floss. No one type of floss will work best for everyone. Both nylon and PTFE floss have their strengths and are great options depending on what you need and prefer. Once you have your chosen floss, it is important to practice proper flossing technique to maximize the benefit of your teeth and gums. Here are some tips you can use to become a flossing expert. It’s important to always wash your hands before flossing. You will be sticking your fingers in your mouth, and washing your hands is an easy preventative measure to avoid exposing yourself to unnecessary germs. It is recommended to use about 18 inches of floss. The goal should be to have about two inches of floss between your hands held by your index fingers and thumbs. The other 16 inches or so should be wrapped around the middle or index fingers on each hand. Using this technique will give you the leverage to manipulate the floss more easily and make it easier to use a clean section of floss as you work your way around your mouth. When flossing, make sure not to skip any of your teeth. In addition to being thorough, it is also important to be gentle. Do not force the floss between teeth which could bruise or damage your gums. When you floss each tooth, make sure to floss below the gumline and to use a clean section of the floss between all teeth. At Summit Dentistry, we understand that maintaining good oral care habits can be difficult. We care about your health and want to make it easier for you to maintain proper oral care. Dr. Lopez is committed to working with patients to provide them with the quality care they deserve. We encourage you to click through our website to discover all the ways we can get you on the road to your perfect smile. Schedule your next visit today. To most adults, brushing our teeth is second nature. Most people have a routine that they follow every day that involves brushing their teeth in the morning and at night. But patients have picked up bad brushing habits that are keeping them from optimum oral health. Improper dental care can lead to a decline in health, and nobody wants to end up in the dentist’s chair more often than they need to be! At Summit Family And Cosmetic Dentistry we are dedicated to helping you develop good habits to protect your oral health. The toothbrush aisle can be overwhelming, as most stores carry a massive variety of different brands and styles. A lot of our Florence patients tell us that they really don’t know what type of toothbrush they should look for and end up grabbing one at random. Size – Choose a toothbrush with a head that fits your mouth. If you have a smaller mouth and find it difficult to reach every corner and side of your teeth with your toothbrush, opt for a brush with a small head. Bristles – Dr. Griffin recommends soft-bristled toothbrushes to all of his patients. Brushes with medium and hard bristles are dangerous, as they can damage your enamel and gum tissue. Most toothbrush packaging will indicate the bristle texture. Handle – Choose a handle that fits comfortably in your hand, kind of like a fork. Patients with smaller hands may want to look for thin or small brushes. Maybe you’re already aware that you’re making this mistake. In the morning rush or late at night, it’s not unusual to want to quickly drag the toothbrush across your teeth and move on. This is a huge mistake, however, and can lead to adverse consequences down the line. Dr. Griffin recommends that his patients brush their teeth for 2 minutes twice per day in order to give each section of their mouth the proper amount of attention and care. 2 minutes may not seem like a long time, but when you’re standing in front of the bathroom mirror, it can feel more like 10. Find a song or music video around 2 minutes long to play while you brush. The time goes by quicker when you have something to focus on. Most electric toothbrushes are automated to run for 2 minutes at a time as well, taking the guesswork out of your brushing time. While it may seem like a good idea initially, brushing your teeth too much can be almost as harmful as not brushing enough. Brushing more than 3 times per day can wear down your tooth enamel and damage your gums, leading to tooth decay and gingivitis. Yes, that’s right—brushing your teeth too much can cause cavities! Plaque is so soft that it can actually be removed with a rag if you can reach it. Thoroughness is more important than toughness when it comes to brushing. Doing it 2 or 3 times per day for two minutes at a time combined with flossing and regular dentist visits is usually enough to keep your teeth healthy, bright and white. Choosing The Right ToothpasteNot all toothpaste is created equal. There’s different toothpaste for different goals, so it’s important to choose a type that suits your individual needs. Tartar Control – If your teeth are prone to buildup and you’re looking to keep them free of plaque, choose a tartar control toothpaste. Tartar control works to protect the teeth and gums from gathering harmful plaque that causes tooth decay. Whitening – Pearly-whites not looking so pearly? Consider a whitening toothpaste. These brands generally contain a small amount of bleaching agents that work to rid your teeth of the yellowing stains. Desensitizing – Patients with sensitive teeth often find success with desensitizing toothpaste. Utilizing chemical compounds that block the minuscule holes in the enamel, desensitizing toothpaste can keep your teeth from stinging when they come in contact with hot or cold foods and drinks. Children’s – When shopping for your children’s dental health, make sure to choose a toothpaste that suits their unique needs. Choose a paste with a smaller amount of fluoride than your own, as too much fluoride could actually damage their delicate teeth. Select a flavor that they enjoy as well so brushing their teeth feels less like a chore and more like a treat. Keep toothpaste out of reach, as your young children may want to eat it! Remember, before your child turns 2, choose a toothpaste without fluoride. A lot of patients neglect to change their toothbrush out when it’s time. If your brush is looking frayed and broken, toss it in the trash and get yourself a new one. Frayed bristles will not clean as effectively as tight ones, allowing plaque and bacteria to remain on your teeth. Plus, worn bristles can actually damage your delicate gum tissue, creating an entire host of problems that you certainly want to avoid. Most dentists recommend changing your brush out every 3 months, but if your bristles are looking frayed before that, do your teeth a favor and change it out. Who knew that brushing your teeth could be so complicated? It’s a habit that most of us learned when we were young, so it may come as a surprise that you’re doing it wrong. Luckily, Dr. Lopez at Summit Family And Cosmetic Dentistry in Spokane is here to help you kick your brushing faux pas to the curb to get your dental health back on track. If you have any more questions or want to see if you need to brush up on your brushing, make an appointment with our office today! Wisdom teeth aren’t necessary teeth and most adults have them extracted due to impaction, infection, or crowding. While not everyone needs to have their wisdom teeth removed, those that do have them taken out typically do it in their late teens or early twenties. At Summit Family and Cosmetic Dentistry, Dr. Lopez uses digital x-rays to decide when it’s necessary to remove wisdom teeth that are not coming in properly or may cause problems. While most of us only have room in our mouth for 28 teeth, we actually have 32. 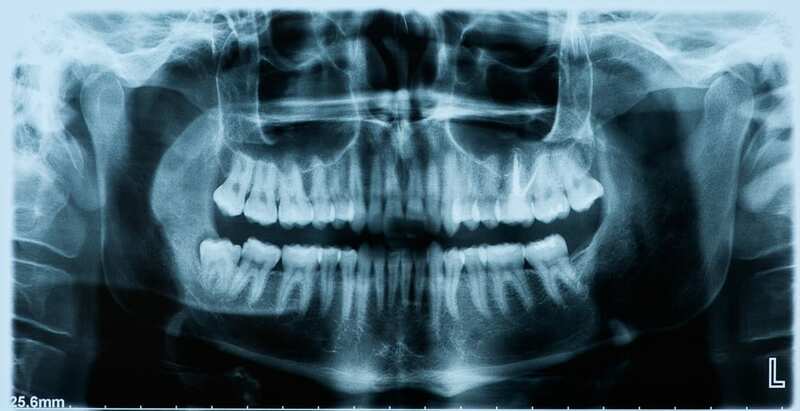 Wisdom teeth are the third set of molars, that don’t usually erupt until later in life. Most people have them removed in their late teens or early twenties, and a lucky few never need to have them removed at all. Your wisdom teeth serve no essential purpose, so having them removed won’t damage or inhibit your oral function in any way. While we don’t need our wisdom teeth to maintain our health, they were originally used to help early human ancestors grind plant tissue. Early humans were thought to have larger jaws, with room for more teeth, helping them ingest a diet made of foliage and plants. Why Remove Your Wisdom Teeth? Due to the fact that most of us don’t have big enough mouths to accommodate these extra molars, they don’t have enough space to erupt properly. They can cause overcrowding, or come in sideways and impacted, meaning that they are not growing in straight. When your wisdom teeth are impacted, that can damage surrounding teeth, causing infection. Removing your wisdom teeth makes it easier to maintain your oral health and prevent your teeth from shifting out of place. Fortunately, wisdom teeth extractions are an extremely common procedure. Dr. Lopez wants you to feel at ease during the process. With the use of sedation dentistry, you will be able to rest pain-free during the extraction, leaving you with little to no memory after your teeth have been removed. As everyone’s wisdom teeth are unique the extraction process is different for each patient. If your wisdom teeth have already come through the gums the procedure will be similar to any other tooth extraction. However, if your wisdom teeth are still covered by gum tissue, our Spokane dentist will make a small incision, giving him access to the area and allowing him to extract the tooth. It may be necessary to split the tooth into multiple pieces to make it easier to remove. Following your procedure, someone will need to drive you home to heal. Immediately following your procedure, your lips, and cheeks may still feel a little numb or sore, however, medication should prevent any feeling of pain. During the next few days, it is important to get plenty of rest, avoid hard foods, or foods that are too hot as this can aggravate the extraction site. Dr. Lopez will provide medications to help reduce swelling, pain, and prevent infection as you heal. Most patients experience little to no discomfort and are able to return to normal activities such as work within a few days. Working out and heavy physical activity should be avoided until you are healed to prevent complications with your extraction site. Leaving your wisdom teeth in place when they are impacted or causing overcrowding can cause permanent damage. Wisdom teeth can make it hard to properly clean your back molars, causing tooth decay and cavities. They can also affect the health of your gums trapping bacteria and food debris that can cause gum disease. 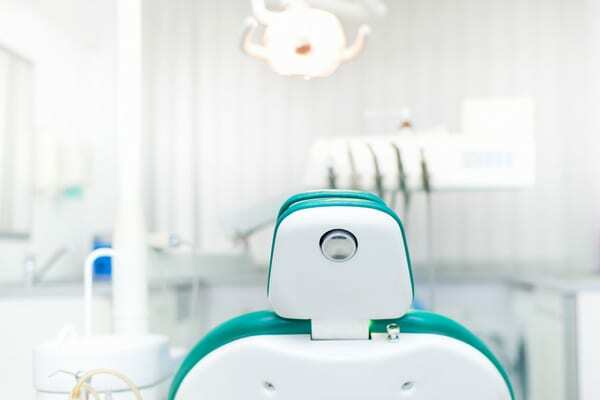 It’s natural to be nervous when undergoing serious procedures, however, Dr. Lopez and the team at Summit Family and Cosmetic Dentistry are experienced in keeping you comfortable and worry-free during your entire treatment. We provide sedation dentistry and will walk you through every step to make sure you know exactly what to expect. Visit Summit Family and Cosmetic Dentistry Today! Removing your wisdom tooth will protect your smile from damage, and relieve pain that can be caused by inflamed gums or impacted teeth. Dr. Lopez is dedicated to providing stress-free dental care in a comfortable and caring environment that will put your mind at ease. Contact our Spokane office today! Is There A Connection Between The Gums and The Heart? Your entire body is connected, which includes your oral and overall health. It might surprise you but there is actually a direct connection between your gums and your heart. That means that taking good care of your teeth and gums is important for keeping your heart healthy. Dr. Lopez is dedicated to helping patients understand how gum health can impact more than just your smile. The first step is understanding what gum disease, or periodontal disease, actually is. This disease is a bacterial infection that occurs when plaque builds up along the gum line when your teeth aren’t properly cared for. It causes a break down between your gums and the underlying tissue, which in turn causes inflammation and infection. Gum disease breaks down the connective tissue leaving your body vulnerable for that bacteria to spread. As this bacteria spreads it can increase your chances for many different health risks that could cause long term or permanent damage. Forming good habits will help maintain your oral and overall health, reducing risk for bigger health issues. Seeking treatment for gum disease before it can progress to a more advanced stage is an important part of preventing damage to your teeth, gums, and overall well-being. Brushing and flossing your teeth at least twice a day and using mouthwash daily are all good habits and preventative measures you can do to keep gum disease and its associated heart issues at bay. Making biannual trips to the dentist for a professional cleaning is also a vital part of keeping your gums and heart healthy. For some patients, your Spokane dentist may recommend more frequent visits. If you are worried that you might have gum disease, making an appointment with Dr. Lopez can help put your mind at ease. At Summit Family And Cosmetic Dentistry we can help treat your gum disease and keep it from impacting the rest of your overall health. Contact our Spokane office today for an appointment! No one wants to live with damaged teeth longer than they have to. After dental work or due to an accident, cracked or broken teeth can cause risks to your health and be a blemish on your smile. Crowns can take two or more visits and weeks to put in place, leaving gaps and cracks visible and exposed to infection in the meantime. Thanks to advances in technology, like CEREC, we are now able to place your crowns on the same day in many cases. With CEREC, you can walk out of Summit Family & Cosmetic Dentistry with a beautiful smile. CEREC stands for Ceramic Reconstruction and is a system that allows our Spokane dentist to create your restoration as you wait in the office. Using 3D images and CAD/CAM technology to create a virtual version of your onlay, inlay, crown, or bridge without taking impressions, our in-office milling machine can then create your restoration during that some appointment. The old method of providing ceramic crowns required a few weeks and at least two office visits to create and fit your crown. Dentists had to create a physical impression of the surgical site using an uncomfortable goopy substance, wait for it harden, and use the impression to build a mold of the restoration. That mold then had to mailed to a laboratory and the patient would have to wait for the lab to send the completed restoration back to the dentist. Another appointment was necessary for placing and fitting the restoration perfectly for the patient’s mouth. CEREC has changed all that making it easier than ever to create your new smile. Using our CEREC system Dr. Lopez can create restorations in as little as a few hours while you wait in comfort in our Spokane office. Impressions are taken digitally and recorded for use when building your crown. The process is simple and painless- all you’ll have to worry about is how to enjoy your new smile! Your tooth will be prepared for the digital impression. CEREC intraoral digital camera will scan the site of your new crown and create a perfect 3D copy of the restoration. Dr. Lopez will send that data to a milling machine right here in our office. In a short period of time your crown can be milled as you wait. After your crown has been placed, Dr. Lopez will check to make sure that the restoration fits perfectly with your smile. Any adjustments that are needed are made to ensure that the crown is comfortable and fits properly. The color can also be adjusted to help it match your teeth. One last check is made to ensure the perfect fit and then Dr. Lopez attaches the crown. If you’re looking for ways to enhance your smile, CEREC can help you achieve the results you want in less time. Get back to smiling more! Contact Summit Family & Cosmetic Dentistry to schedule a consultation and see how our same day dentistry can help you! With just a week left before a flood of trick-or-treaters descend on your doorstep, we’re heading into crunch time. Getting the last few touches up on front-yard decorations and making the last few adjustments to your costume can quickly absorb any free time you have left before Oct. 31st. And with good reason – Halloween is a fun holiday for every age and is often considered the kickoff to the holiday season. Like anything else, all candy is great in moderation. However, some sweets are certainly better for your teeth than others. Lollipops and hard candies in particular are major culprits behind poor oral health. Because these treats can’t be easily eaten without letting it dissolve for an extended period of time, patients are essentially bathing their teeth in sugar, which can increase the risk of cavities and gingivitis. Rather than putting your teeth at risk, our Spokane dentist recommends opting for chocolates and other softer candies. Not only are Hershey’s and M&Ms easier to chew (limiting the risk of broken teeth), they don’t stick to teeth and any debris left behind is easily washed away from your smile. This one is for our teen and adult patients who also enjoy indulging during this spooky season. Caramels, taffy, and other sticky sweets are especially notorious for damaging dental restorations and have been known to pull out fillings and crowns. If you want to avoid an emergency dental visit, stay away from caramels. 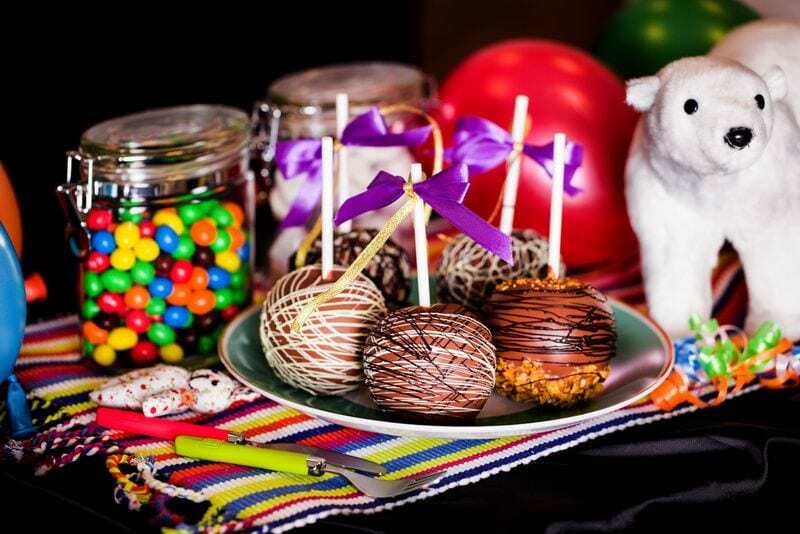 While treating yourself to sweets every once in awhile is great, it’s easy to go overboard, especially on Halloween. To keep your smile healthy, our dentist in Spokane recommends alternating candy with smile-friendly snacks like celery sticks, apples, and carrots. Not only are these whole fruits and veggies great for your diet, they’re also excellent for your smile! Whether you’re going out trick-or-treating or planning on sneaking a few treats while passing out candy, remember to brush and floss twice a day! Neglecting important oral hygiene steps, especially after a night of sugary treats can increase your risk of developing oral health problems, including cavities and gingivitis. Our team at Summit Family & Cosmetic Dentistry wishes you a safe and happy holiday! If you do happen to experience a dental emergency while enjoying your haul, give Dr. Lopez a call – we’ll fit you in for an emergency visit as soon as possible. We’re all are familiar with the phrase “you are what you eat.” But did you know your diet can impact the health of your entire smile? Recent studies published in the Journal of Biomedicine and Biotechnology add greater support to the theory that there’s a strong relationship between diet and smiles. Unhealthy diets that are low in protein and vitamins but high in refined carbohydrates have been shown to increase the risk of cavities and gum health. Other studies, like this one conducted by the WHO Collaborating Centre for Nutrition and Oral Health and the Centre for Community Oral Health Programmes highlight that nutrition has an impact on the development of teeth and can even trigger the preconditions that encourage the development of oral cancer. Given the long term consequences of these preventable diseases, there’s little question as to why so many dentists are now educating patients of all ages on the importance of a healthy diet. So What Makes a Smile Friendly Diet? Many studies agree – the best diet for a healthy smile is a balanced one. This means a diet full of fresh fruits and vegetables as well as lean protein and plenty of water. Smile friendly diets also limit sugar intake, avoiding sticky candies or fruits as well as starchy, carb-heavy foods like potato chips. So what does this all mean for your day to day life? 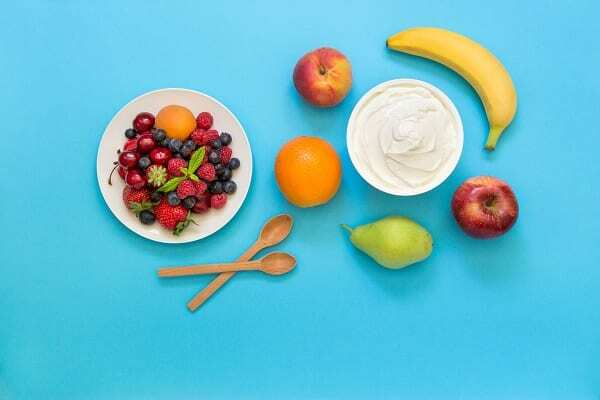 Here are some of the top foods and drinks our Spokane dental team recommends picking up on your next trip to the grocery store. Blueberries, raspberries, and cranberries are all rich in anthocyanins, which prevent bacteria from attaching to the surface of teeth. Try adding them to a cup of Greek yogurt for a delicious parfait or throwing them into your next salad for a pop of freshness. Craving the crisp of a good potato chip? Get a satisfying and healthy crunch by swapping out chips for celery, snap peas, apples, or carrots at lunch time. These crisp fruits and vegetables help “scrub” away plaque from teeth as you eat them, keeping cavity-causing bacteria at bay. You probably already know how important vitamin D and calcium are for your bones, but were you aware of how important these essential vitamins are for your teeth? Milk, cheese, and yogurt are all excellent ways to strengthen teeth and fight demineralization of tooth enamel. Cheese in particular has also been shown to increase saliva production, which in turn helps wash away plaque and bacteria from teeth. Spinach and kale not only provide your smile with important antioxidants and iron, they also contain high amounts of vitamin A, beta-carotene, and calcium. Each of these vitamins play a unique and important role in protecting the health of the smile and body. Are you a fan of garlic? You’re in luck. This pungent bulb contains allicin, which has antifungal and antibacterial properties. Allicin helps kill off gum-disease causing bacteria while protecting the good bacteria that resides in your smile. Protein is an important building block to every aspect of a healthy lifestyle and your smile is no exception. Lean meats like chicken, turkey, and fish can all help strengthen teeth and protect your smile. Get the Full Scoop – Visit Summit Family & Cosmetic Dentistry Today! At our Spokane dental practice, our team is dedicated to helping patients care for their smiles. This includes choosing a healthy, sustainable diet that promotes good oral and overall health. Whether it’s time for your next teeth cleaning or you have questions about what kind of diet promotes a healthy smile, give us a call! Dr. Lopez and his team are here to help you and your family achieve a beautiful smile. Modern dental implants are among the most innovative tooth replacement options available. 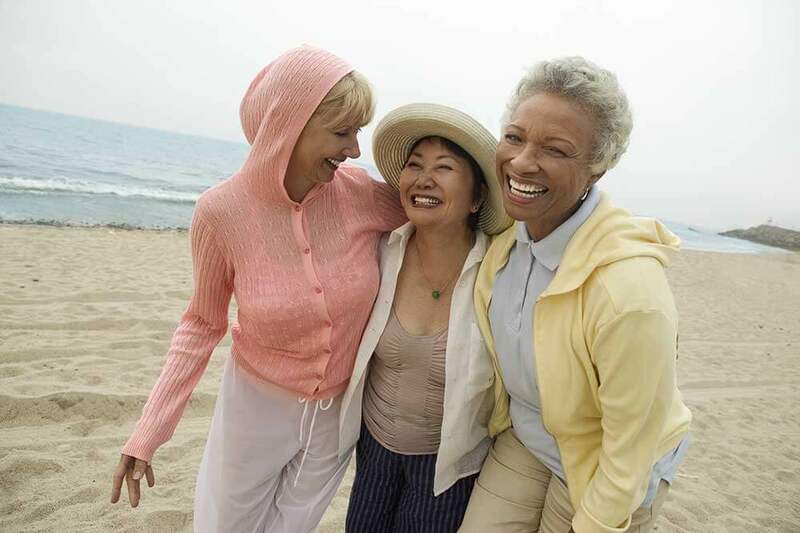 Reliable, versatile, and permanent, it’s no wonder that that a diverse group of patients is opting for dental implants or implant-supported bridges/dentures. Whether you’re simply exploring your tooth replacement options or actively seeking a tooth replacement option, dental implants are one of the best choices you can make for your smile. At Summit Family & Cosmetic Dentistry, Dr. Aníbal López and his team can help you fill gaps in your smile with dental implants. Call our Spokane dentist today to learn more about how this modern treatment can improve your quality of life.